Weed is our friend: 4 reasons why legalizing marijuana could solve some of America’s biggest problems | "Global Possibilities"
For a few years now Americans have disputed on the legalization of cannabis, also known as marijuana. 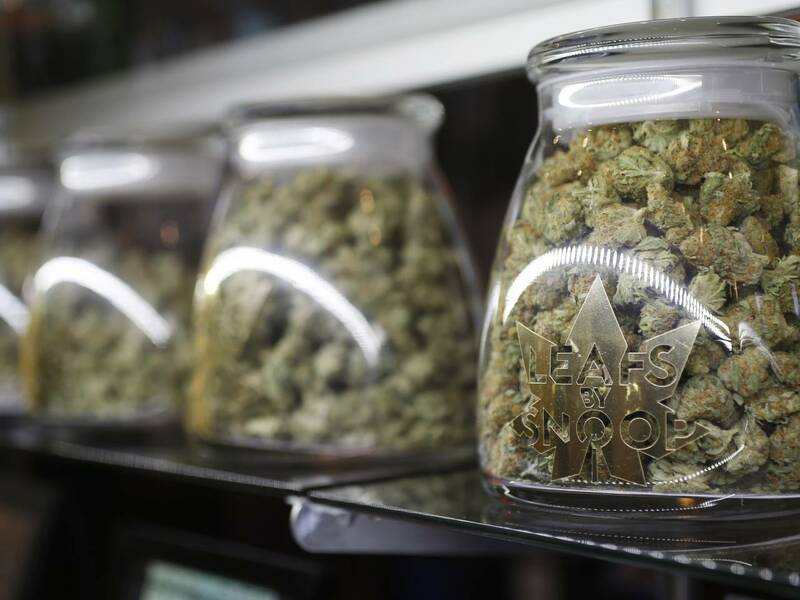 Recreational cannabis is legal in four states: Oregon, Colorado, Alaska and Washington state. This November, five states will vote to legalize recreational cannabis: California, Massachusetts, Maine, Arizona and Nevada. We’ve heard all the research and the majority of adults will admit to having tried cannabis at least once in their life. In a world where substances like alcohol and tobacco remain legal, it’s just illogical that cannabis stays illegal. Both the Republican and Democrat parties have recognized the value of cannabis, at least medically, however there is bigger picture. Legalizing cannabis could be the solution to America’s social, economic and even some foreign problems. 1. Marijuana is medicine. Of course. Now, we don’t need to keep listing all the health benefits of cannabis. There are already tons of articles about cannabis being an all in one medicine with only a tiny, tiny percent of a chance of an overdose. Even though 23 states have legalized cannabis medically, physicians still don’t have national guidelines on how to prescribe it. High Times, a magazine publication advocating the legalization of cannabis, recently quoted Dr. Jean Antonucci who told CNN that she still feels “completely in the dark” about medical marijuana treatment, dose, and whether a patient should smoke, eat or vaporize it. Most physicians have never been trained to prescribe marijuana and it is still not covered in medical schools. Only some states are beginning to require doctors to take additional medical courses on medical marijuana. 2. Cannabis is a cash. So let’s talk economy. Depending on your views you either see America’s economy as bad, or really bad. Cannabis/Hemp could be the biggest cash crop since cotton. Cannabis is such large and profitable industry that legalization could boost the economy and create American jobs. Colorado has brought in nearly $73.5 million in selling marijuana and marijuana related products in just a few years. Colorado was the first to allow recreational marijuana sales in January 2014, followed by Washington in July 2014, and then Oregon sales began October 2015. Since then Headset Inc, found that the average recreational consumer spends $647 annually on marijuana. 3. Weed out the international drug trade. American cannabis growers have become known for inventing new hybrid stains. This makes American marijuana unique which could help destroy the illegal foreign drug trade. In 2012, a study by the Mexican Competitiveness Institute found that legalization would take market profits away from cartel businesses. Former DEA intelligence specialist Sean Dunagan told Vice News that a national legal cannabis market will negatively impact drug cartels’ profits so much that cannabis won’t be “a viable business for the Mexican cartels the same way bootleggers disappeared after prohibition fell.” Another study by a Harvard economist, Jeffrey Miron found that the U.S. government could save billions of dollars by ending the drug war and legalizing cannabis and bring in an additional $46.7 billion in yearly tax revenues. Let’s go ahead and say it. Smoking marijuana is fun, enjoyable and makes people happy. Diagnoses of depression in America grows more every generation. Now more than 15 million American adults suffer from some sort of depression and the suicide rate seems to get higher and higher each year. In a time of rapid changes and questionable futures, why not make something that creates positively and happiness legal? Legalizing marijuana is something we might feel that we can do little about. Yet we can do more than we think. If legalization is your state’s ballot this year, make you vote count. If your state is nowhere near legalization, then vote for pro-legalization candidates. Even if you don’t feel like voting, tiny steps can be made when you keep an open mind and educate yourself on medical marijuana and the cannabis industry.